Issues with Florentino Perez over summer transfer targets have been revealed as the reason for Zinedine Zidane’s departure from the Bernabeu. The former French international, who was already one of the most decorated players in world football, was given a chance to take over the first team at Real back in 2016. In his first half season in charge, Zidane helped his side to the UCL title, and managed to do the same in the next two seasons, winning three European titles in less than three years in charge of the Madrid giants. He did an exceptional job at the club, spending little to no money on top class stars. But after two-and-a-half successful years, he finally decided to quit Real Madrid earlier this week. Los Blancos surrendered their league title to Barcelona, falling 17 points behind. That, along with a shock exit in Copa del Rey to Leganes, was touted as the reason for Zidane’s exit. But English news outlet The Sun have now come up with a different story, claiming that Zidane and Perez had a meeting the night before the French ace decided to quit, and that the talks were far from smooth. Going into details, the source revealed that Perez wanted to sign David de Gea like he almost did a few years ago, but Zidane was happy with Keylor Navas and wanted to trust him for another season. But that was not the only PL star that caused this row. The same story continues to claim that Zidane himself wanted to sign Belgian playmaker Eden Hazard, having identified him as the perfect fit for his side. 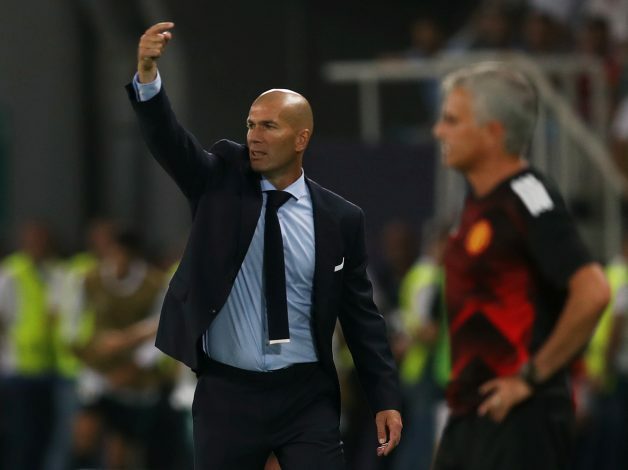 However, Perez was reportedly not too convinced with Hazard, leaving Zidane frustrated. This report comes out several days after Zidane stepped down, and could easily be the actual reason behind his shock exit.